Opening at The Melrose Gallery this 10 May is a brand-new solo exhibition by artist Christiaan Diedericks titled In Search Of A New King. 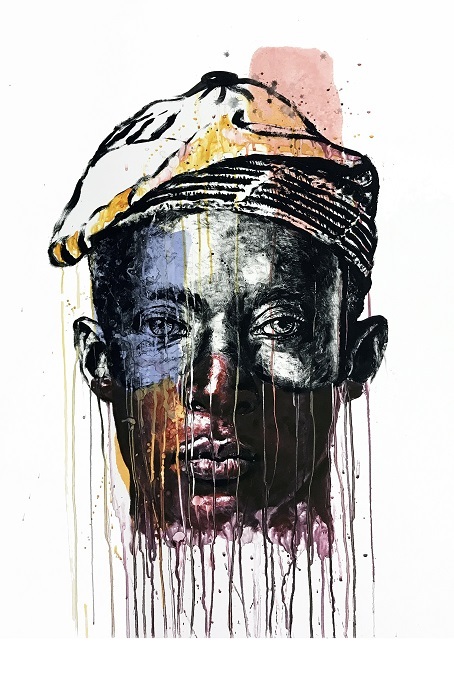 Diedericks, one of South Africa’s most widely exhibited fine artists and print makers, both locally and internationally, is known for capturing beauty in poignant, thought-provoking, and often painful themes. Always pushing boundaries politically, socially and religiously, as well as personally, he is as unafraid of laying down his own truth as he is of the worlds…and In Search Of A New King is one of his most personal and indeed, important exhibitions to date. 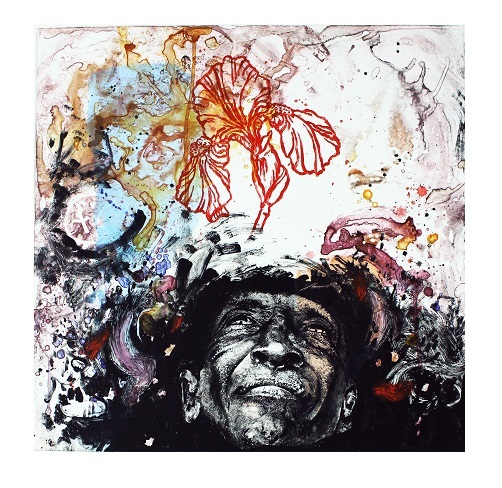 Curated by Melissa Goba, In Search Of A New King attempts to address the pressing issue of ‘decolonising our minds’ as a condition for thought insofar as it refers to the depth, rather than the superficiality involved in knowledge building communication – a depth that reflects respect rather than contempt, trust rather than suspicion. The aim of the exhibition is to spark debate, rather than provide answers, without inviting pain and anger. Debate about possible ways forward, without adding to anyone’s past plights and, ultimately, to learn from each others’ cultures. 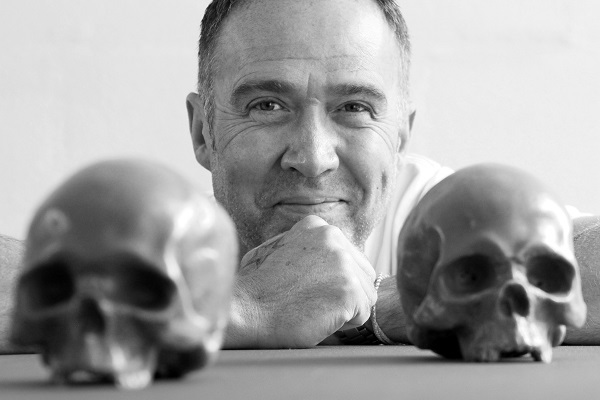 Christiaan, you are a prominent artist in South Africa with various awards and prestigious honours to your name. Your work continues to play an important role using the artist voice as intervention socially and politically. Why is this vital in a post-democratic South Africa, and indeed globally? “In modern Western society, there seems to be a powerful cultural conditioning that is based on science. But in some instances, the basic premises and parameters set up by Western science can limit your ability to deal with certain realities”. In the light of the above I personally believe that any artist is first and foremost the conscience of society at any given time in history. Most people in the present day South Africa remain angered (or at least disoriented) by an exclusionary past and even more so by our seemingly bleak future. I am of the opinion that any serious artist’s voice should expose, question, play devil’s advocate and stir emotions in order to spark debates. Talking honestly at this point in time in South Africa is paramount, people are free but still disadvantaged, very little truly seems to have changed, we have no alternative. Painting flowers and/or a landscape can sadly not achieve the latter. I am of course not saying that only political work is valid art, however there is a vast difference between solid conceptual art and art as mere decoration. There is also undoubtedly a connection between my work and literature – not only do I write poetry myself, I also find loads of inspiration in reading poetry collections and novels, not only as inspiration/concepts for new works but also for possible titles. I am currently reading The New Testament by Jerico Brown gifted to me by a pshyciatrist friend. Brown’s poetry speaks to me on many levels and inspired quite a few works on this solo. I also have to state that my view of the world has been challenged, turned upside-down and was changed forever after watching Hannah Gadsby’s "comedy" (not!) Nanette. Gadsby gave me the language for so many things I have felt in the past, but maybe the mostly about living a mindful life, leaving almost no footprint on our planet, living in the moment, calling out things for what they truly are and embracing both dark and light. Especially in our post-truth (social-media driven) contemporary world where ‘fake’ and ‘superficiality’ might be more lived and ‘believed in’ than ever before in history. 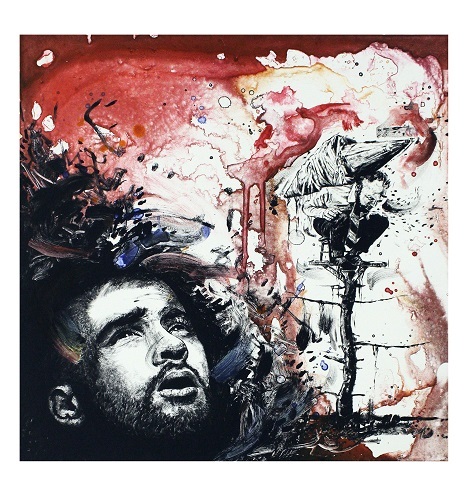 In complete honesty, the subjects I address through my works seem to have always chosen me. For many years I struggled to become more comfortable within myself specifically in terms of my own sexuality. Making art about my personal experiences and especially exploratative of my sexuality was the only thing that made sence to me at the time. Only after feeling more comfortable in my own skin could I address issues such as the environment. Currently I am acutely interested not only in world politics, inequality on all levels and the origins of racism, but also sexual fluidity. I also befriended many more people of colour over the past few years and I truthfully became aware of the real impact of colonialism and Apartheid on the psyche of people in our country. I think my most favourite medium remains stone lithography, but right now I am mainly exploring the monotype as medium. I enjoy the freedom of mark making and the medium affords me a looser approach to my image making and to overcome my OCD insofar it comes to perfection and drawing ability. The monotype helped me to realise that there can be such beauty in an unplanned, spontaneous drawing/brush-mark. ‘Bad drawing/painting’ seems to be en vogue at present. I have often been accused of being an ‘illustrator', as if we have not surpassed the ‘clear category boundaries’ many moons ago. It is nearly impossible for me to select just one favourite work on my solo – I created all of them. In Search Of A New King took more than an entire year of intensely focused work - many works were not selected for the final exhibition. I can however say that I immensely enjoyed making the eleven monotypes in the (im)Perfect Fit series and of course the sheer scale of These Bones Will Rise Again; it is undoubtedly the most ambitious monotype I have ever attempted to create and will hopefully become the centrepiece on this solo, not only in terms of size, but also importance. I personally believe we have to learn from the past and never forget, but in order to move forwards we need to find a way to forgive, say sorry, look each other in the eye and in doing so, heal. I am of the personal opinion that the TRC (Truth and Reconcilliation Commission) in 1996 (report in 1998) failed in truly addressing the crimes against humanity committed against people of colour in South Africa – it became a mere band aid on a gaping wound. However, if only it was that simple; people in our country seems to be more angry than ever before and not only do we live with the scars of colonialism and Apartheid, but are also currently dealing with deepened poverty due to immense corruption and crimes by our now democratically elected government. Racism seems to be out of hand and the poor even poorer – after nearly twenty-five years of democracy. It is very difficult to say where my creative process will lead me next, but my next solo might probably focus in some ways on my insatiable need to travel (escape? ), not only physical, but also in my head. The above quote is a perfect description my second greatest passion in life (travel) in one paragraph. Art has been and will always be my greatest passion. 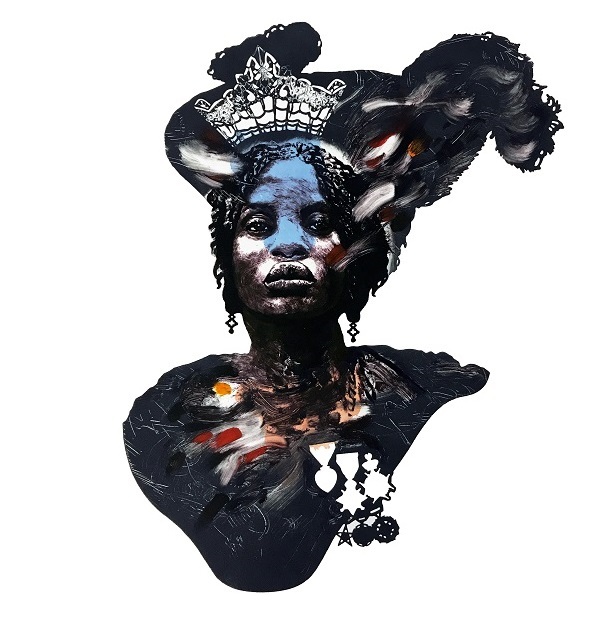 In Search of a New King opens on 10 May and runs until 9 June 2019.